Hail puny mortals! Turn off your idiotic Game Of Thrones and Vikings television shows. I, Odin, give you Brothers Of Metal! Yes, how metal is Brothers Of Metal? Very. But alas the band name is a bit of a misnomer. While the band has eight mortal members, including three guitarists and three vocalists, they are not all men. One vocalist is female, Ilva Eriksson. But Brothers and Sister of Metal doesn't have quite the same ring to it. How this all plays out is simple: take all these elements, mash them together, and repeat. Sure there's some subtle nuances like some folk metal textures and, in the case of the segue Concerning Norns, some nice piano. But mostly Prophecy Of Ragnarok is filled with epic, bombastic, and marching power metal tunes about Norse legends, yet with two exceptions. There's a Viking drinking tune called The Mead Song, though it didn't quite have the gusto to cause me to raise a flagon of Autumnal mead. It's more like a Bud Light drinking anthem. Also, there's the closing ode to all things heavy metal, We Believe In Metal ... and leather kilts, bare chests (no, not Ms Eriksson, you're such freakin' perverts), and furry warrior boots. 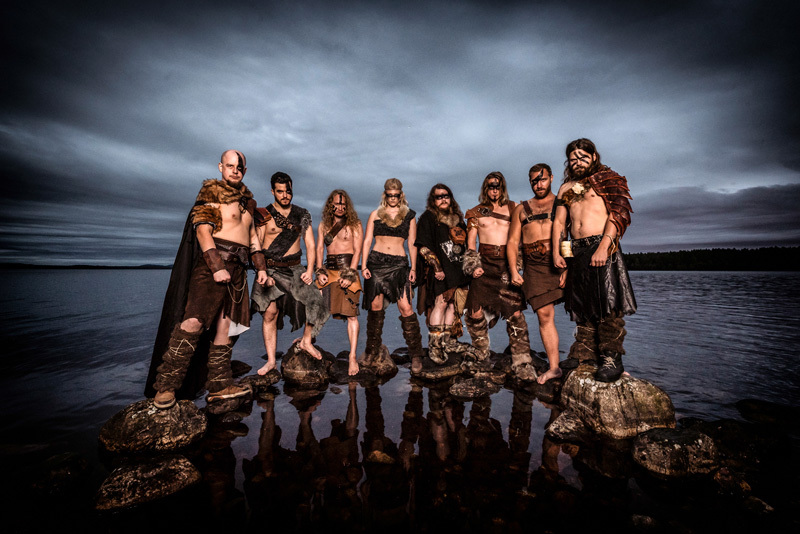 All kidding and humorous cliches aside, for pure Norse power metal, Brothers Of Metal hits their target with Prophecy Of Ragnarok. Keep it true, dudes! 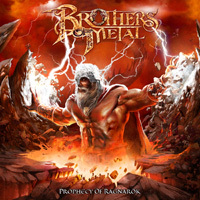 All kidding and humorous cliches aside, for pure Norse power metal, Brothers Of Metal hits their target with Prophecy Of Ragnarok. Keep it true, dudes!